If you’re an avid gardener you have probably wondered how to start gardening during winter. Greenhouse gardening is great for growing bulbs, flowers, and vegetables during the winter time. It is an achievable task as long as you follow a few simple steps. Here are a few tips for finding and filling a greenhouse perfect for gardening during the winter months. There are a few different greenhouses you can use/create during winter. 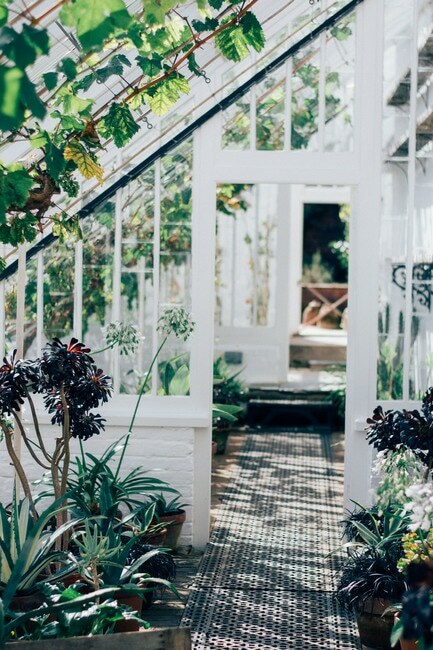 An easy idea for winter is to use a cool greenhouse. A cool greenhouse is the easiest to maintain because you don’t need to install heating in the greenhouse for their plants inside. The greenhouse will simply protect the plants inside from cold winter nights, other elements and also wildlife. When positioned correctly they can absorb a great deal of the sun's warmth on sunny days. These days you can easily buy a greenhouse online to put in your backyard to start gardening straight away! The temperature within a cool greenhouse may remain cold during the winter time, however, at night time they will still remain warmer than the outside air. Due to this, you are able to grow plants in a greenhouse that you couldn’t typically during winter if they were planted outdoors. This offers you a wide range of plants for you to grow however, it’s a good idea to research what plants thrive during winter. Ensure your greenhouse is going to enough have enough space for you to spread out. Not only for your plants but also for you to comfortable walk around and work at your workstation. You want to have a work bench for potting flowers and don’t forget to consider how you want to decorate your greenhouse. If you love gardening it probably has a lot to do with digging in the dirt and the greenery. You can decorate your greenhouse however you like but some fake grass really brings the look of a greenhouse together. It creates a cheery and visually appealing environment to work in and gather your thoughts. Greenhouses are a great option for avid gardeners who want to garden all throughout the year. It’s a great idea, in general, to protect some of your plants by putting them under cover and out of the harsh winter weather. If you’re looking for a place to get your plants and tools out of the weather, you can buy a garden shed for sale online. They’re great for keeping your plants and tools all in the one place as well.